Getting to know the colleagues and strong teamwork skills in general are two points we encourage a lot at ABOUT YOU, because we think it helps creating a satisfying and healthy working environment for everyone in our multicultural company. So the hackathon we did this summer was a great combination of both! 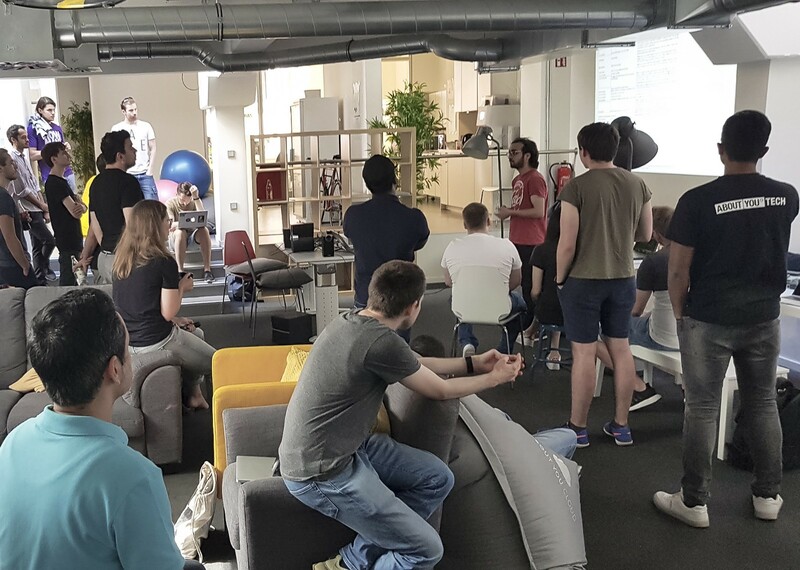 Everybody was invited to participate — no matter if developer or non-tech colleague — and all the people showing up we’re excited to have fun together while developing and working on new projects. 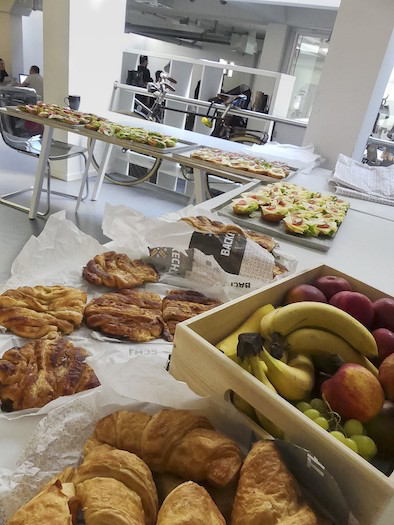 We started with a breakfast, where everyone were already chatting with their colleagues to discuss first ideas. Of course all topics were free to join for everyone! One by one all the participants had the chance to introduce their ideas and the projects they brought with them to work on. The instructions were clear and simple: work on something fun and work together in teams to achieve your goals. Frontend developers, backend developers, designers, data scientists and project leads were working hand in hand to deliver some stunning results after two days of coding. At ABOUT YOU, we commonly have to deal with 60k Database operations per second, this is a high load and also the reason why we needed to evaluate the storage of our data. The idea was to set up a simple CI with AWS CodeBuild, Lambda and SES. This was moved to a separate AWS account and made generally available to all units to test their respective applications. Historically, we went to host on i3 instances but now, we were looking for a managed solution. To evaluated the best data base solution, the team simulated our live environment with high loads and checked how rds aurora and rds maria db performed in comparison. The project team realized that i3 has the fastest reaction time in general but maria db and aurora could fulfill the requirements. The conclusion was a quick fix: One week after the hackathon, the team successfully switched to rds maria db and has it stable in production — mission accomplished! Have you ever felt the confusion of being in a multinational team chat and seeing messages of people talking in their mother languages? One of our Information security developers been in similar situations multiple times and finally decided to use the opportunity during the hackathon to solve it: by making it easier for people to understand each other and write in their preferred language. Hence, he built the TranslatorBot using technologies like AWS Lambda, serverless framework, Python3. AWS Translation Service is a yet another extension application for messengers like Slack and RocketChat. It’s goal is to simplify communication in multinational team chats. The best part about it is that TranslatorBot does not require any server — and on a small scale it doesn’t cost anything to run. It’s fully built using serverless technologies and AWS. The bot processes every message sent to a chat and, if possible, translates it to English and sends the message back to the chat. 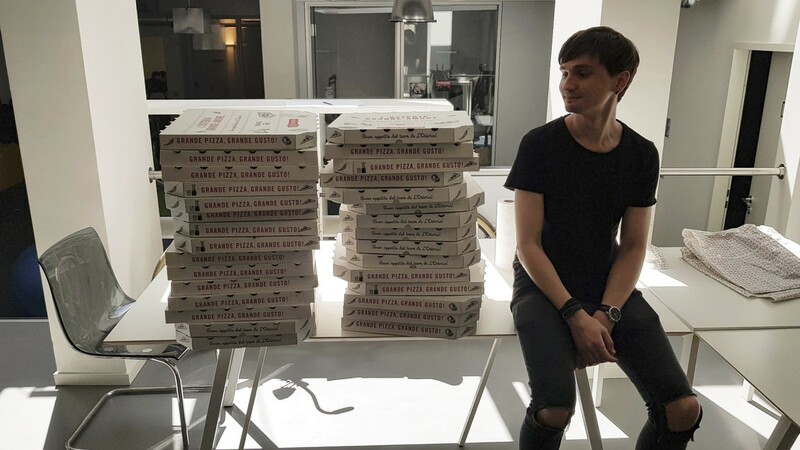 Besides all that productive work, of course, we had what can’t be missed at any given Hackathon: TONS of pizza. 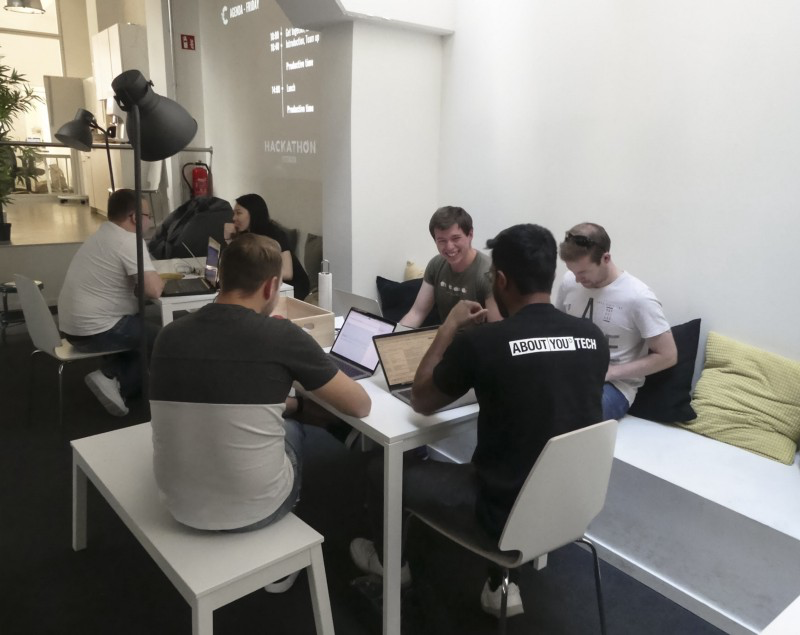 The hackathon once again was a great opportunity to get to know new colleagues within our steadily growing company. The teams were encouraged to try new technologies in a safe environment and reported to have learned a lot during the two days. The outcomes showed that the cross-team exchange is indeed valuable for the company. Are you interested in joining our next hackathon as a new team member of our various teams? Check out our latest vacancies at ABOUT YOU TECH! About the Author: Solveig Petersen is working as a Project Manager in the Circle Lean Process Development at ABOUT YOU.